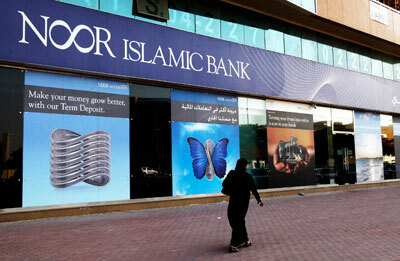 Noor Bank, a leading shari’a-compliant bank in the UAE, has announced that its four-year fixed maturity plan (FMP) managed by Arqaam Capital, has raised over $125 million subscriptions within three weeks of its launch. In line with its objective to constantly strive to bring innovative solutions to its clients, Noor Wealth launched this FMP last month. The initial offering period was open between September 17 and October 11, the FMP drew investments from a number of Noor Wealth clients globally. The FMP, structured as a DIFC-based Islamic Fund, aims to provide income through investments predominantly in global sukuks, and offers an annual income of 5 per cent. Speaking on the FMP, Renoy Kundukulam, the head of wealth management at Noor Bank, said: "We are delighted with the overwhelming response to the Noor Bank FMP with Arqaam Capital, which clearly reflects the strong demand for products that offer stable and assured returns." Established in 2007, Arqaam is a specialist investment bank focused on leveraging the growth of emerging and frontier markets, through offices in the UAE, South Africa, Egypt, and Lebanon. "Noor Wealth has been one of the fastest growing wealth management platforms in the UAE, which reinforces the investor confidence in us and the products we offer," he noted. The overwhelming response to the product clearly demonstrates the strength of the Noor Wealth platform to create innovative solutions which cater to their clients’ needs. Abdul Kadir Hussain, the head of fixed income asset management at Arqaam, said: "Combining our strong track record in Sukuk Fund management with Noor Bank’s excellent distribution team has resulted in this very successful outcome."